synergy2 is a comprehensive web based solution for the London Market, flexibly handling the processing of complex risks at syndicates, companies and MGA's. The software supports all operations whether message driven or manually initiated, and provides comprehensive rating including RARC, bureau messaging and real-time management information. synergy2 provides a complete, modular solution for handling complex and specialty risk. The system allows you to manage your business in line with the London Market TOM initiative and report at a granular level of detail. 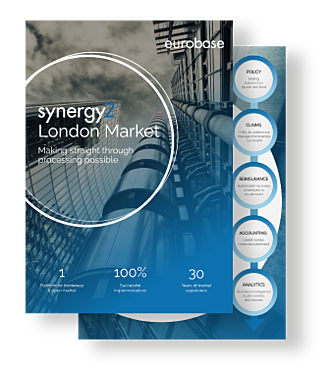 What can synergy2 make possible for the London Market? The London Market is the global home for complex risks and needs to be underpinned by insurance software that understands the nature of this business. synergy2 provides the journey from complexity to simplicity, drawing on eurobase's 30 years in the market to provide a powerful and flexible solution. 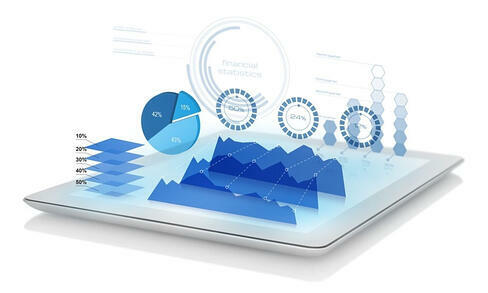 A scalable and comprehensive platform for the entire insurance process, synergy2 meets all the requirements of the London Market harnessed to a complete, granular and elegant reporting module for regulatory and internal reporting. Complete rating engine meeting Lloyd's RARC reporting requirements. Handles rating of complex risk. We were looking for a single platform to deliver consistent business processes across our global aperations and all lines of business. synergy2 has proved itself as a complete and advanced technical accounting system since its successful implementation for the Newline Group of companies"
This implementation provides us with a strategic, operationally effective underwriting platform for our Lloyd’s business. This project was delivered on time and budget, supporting 400 users within Beazley across 8 countries, and serves as a testament to our long standing and successful partnership with Eurobase.